Seak Sophat (PhD): Chair of the Board; he is a natural resource management and biodiversity conservation specialist with more than 15 years implementing, teaching, researching and evaluating natural resource management and biodiversity conservation programming in Cambodia, especially in Mekong, Tonle Sap Lake region and Coastal area. 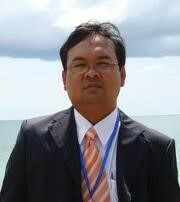 He earned his PhD degree in Natural Resource Management from the Asian Institute of Technology (AIT), Thailand. Dr. Seak Sophat has been a Senior Lecturer and Head of the Department of Natural Resource Management and Development at the Royal University of Phnom Penh, Cambodia, he has developed natural resource management and biodiversity conservation curriculums and collaborated with numerous projects throughout Cambodia to develop relevant programming for both university-level students and natural resource management professionals. He has a strong background in research, and has worked throughout the country with numerous organizations and donors including Danida, Sida, DFID, CIDA, AusAID, ADB, WB, ICCO, UNDP, FAO, MRC, Oxfam, Henrich Boll Foundation, CDRI, and numerous local NGOs. His current research interests are focusing on, participatory biodiversity monitoring linking to management intervention, hydropower development, rural livelihoods and climate change adaptation in Mekong region with emphasis to conservation and livelihood improvement of rural community.